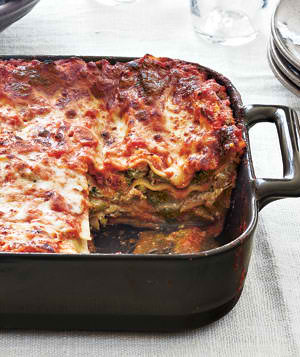 This Broccoli and Three-Cheese Lasagna recipe from Real Simple is without a doubt one of my favorite recipes. It's so delicious, easy and healthy all at the same time. The broccoli adds a great crunch and texture to the traditional lasagna. Enjoy!